With deer season coming to a close and temperatures dropping drastically, most of us are thinking about turkey season but wait!!!! 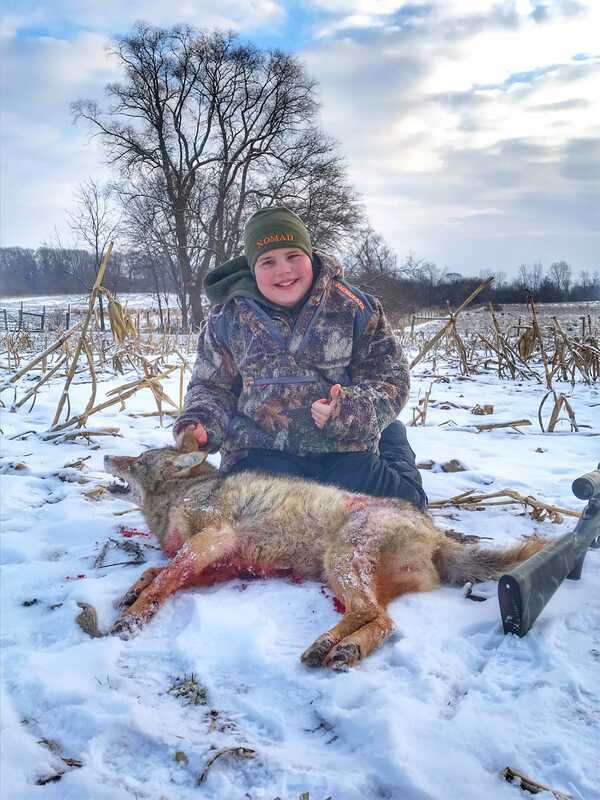 This is a great opportunity to get them children back in the woods to help practice some predator control. Yes some of you may be thinking not so enjoyable for the kids with sub zero temperatures, but if you play your sets right it makes for a great fast weekend outdoor opportunities. You see I usually do two quick 15 minute sets in the morning and two 15 minute sets right before dark! By the time you sit down for your first set and start calling that 15 minutes flies by fast and at that point the children are starting to get cold but their excitement is still there, so it’s back to the truck to warm up and drive to another set. 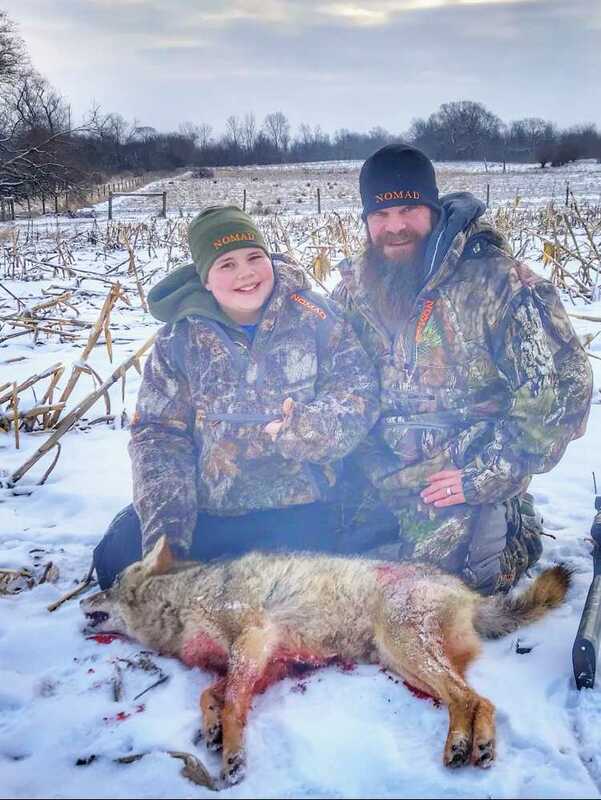 All of this makes for fast action packed hunting even if the predators are not responding it’s always a new set the excitement of calling a new area and sometimes just a walk through the woods and setting up the sets is exciting enough!! It keeps the kids In the game a having fun and that’s what’s most important but what when it all comes together it’s just the icing on the cake!! 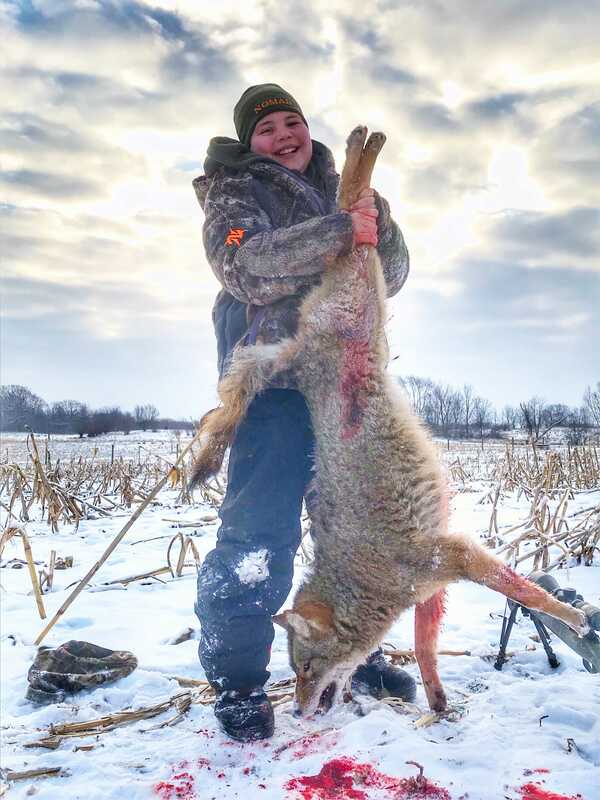 The next cold sunrise or sunset grab your rifle a couple calls and make a few sets because the bottom line is you never know when it’s going to happen and I am sure by the time those kids are getting bored you’re right on to another set and MORE awesome memories in the outdoors.